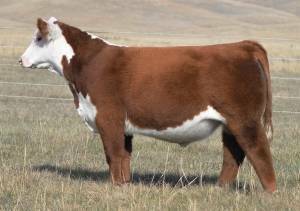 Redemption has proven him self to sire show heifers that extra extension and a bit of the freaky look. LONG necked, big bodied, big footed with great hair. If you have a moderately framed cow that needs more extension and eye appeal Redemption is what you need.